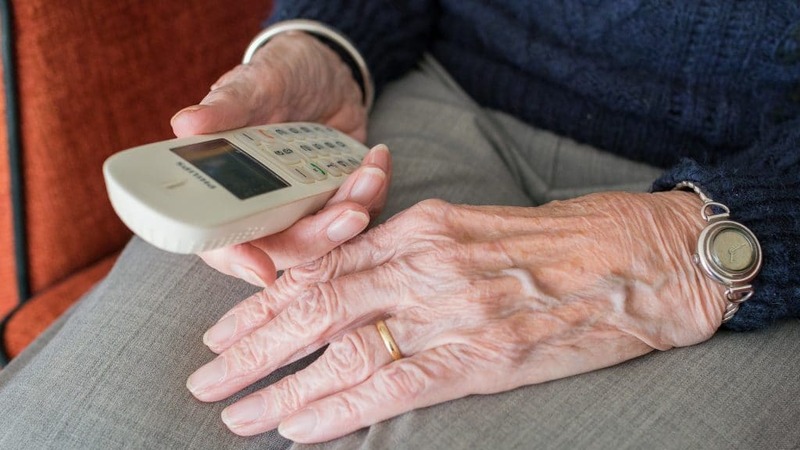 Although it is inconceivable that people would take advantage of the elderly, there is an increasing number of senior scams targeting this vulnerable population. These unscrupulous people are skilled at gaining the trust of senior citizens so they can rob them of their money or identities. According to senior scams statistics compiled by the American Journal of Public Health, about 5% of seniors become victims of some fraudulent schemes every year. This percentage probably doesn’t even give a real picture of this problem as many scams go unreported. What’s more, the FBI reports that senior people are scammed out of $3 billion every year. Considering these alarming facts, we at MedAlertHelp.org have prepared this article covering typical scams and some of the great tips for protecting against frauds. Before we move onto practical examples of elder fraud and how they can avoid becoming victims of fraudsters, let’s see why the elderly are so susceptible to scams in the first place. Many scammers play on the “relationship” card as they know that senior citizens often live lonely lives. On top of that, there is usually no one to check up on their finances. Also, a number of elderly people have memory problems or impaired cognitive function. This makes it easy for con artists to trick them into giving them money or personal details. Another reason why scams targeting senior citizens are so frequent is that they may have large sums of money at hand thanks to their retirement savings and pension checks. On the other hand, if their financial situation is not that good, they easily fall victim to deceitful promises of getting rich quickly. Finally, the elderly may feel embarrassed about being scammed, so they don’t report the crime to the authorities. In addition, they often don’t know where they can report scams. Therefore, scammers are aware that they are likely to get away with it. Health insurance or Medicare scam is one of the most common senior scams. Since all US citizens and permanent residents over 65 are eligible for Medicare, fraudsters don’t even have to do any research on health insurance providers of senior people. Knowing this, they pretend to be a Medicare representative asking elderly people to give them their personal information which they use for illegal actions. In another scenario of this type of scam, con people provide seniors with phony services and use their personal information to bill Medicare and take the money. A counterfeit drug scam is a type of internet senior citizen scams. As older people are trying to find medications at lower prices, scammers set up an online sale of drugs which are often counterfeit. Scamming people into buying these bogus medications is apparently big business in the USA. DrugAbuse.com reports that in 2013 alone the FDA shut down 9,600 websites offering counterfeit prescription drugs. Unfortunately, the negative consequences of this scheme are twofold. Not only are older people ripped off for money, but they buy substances that can be harmful to their health. There are two types of funeral frauds targeted at elderly people. In one scenario, perpetrators read obituaries and use the information they get to contact the grieving widow or widower. When they get in touch with them, they claim that the deceased owned them a considerable amount of money, trying to extort that sum from the family of the deceased. This type of senior scams and frauds may also involve dishonest funeral homes, whose goal is to deceive family members by adding unnecessary charges to the bill. For example, they try to sell an expensive casket for a deceased who is going to be cremated. As today’s society puts great stress on physical appearance, many older people give their best to look younger than they actually are. Therefore, the cosmetics market is flooded with beauty products with anti-aging properties. A number of scammers see this as a great opportunity to capitalize on people’s vanity. Some of them claim that their fraudulent anti-aging products contain all-natural ingredients that will work miracles, but they are in truth completely ineffective. Others sell fake Botox products, which are not just ineffective but can also be quite toxic. That’s why it’s a good idea to get yourself acquainted with the regulations concerning consumer protection for seniors. Fake telemarketing is one of the most common senior citizen phone scams, which is unfortunately pretty successful with elderly people. Since many seniors like purchasing over the phone, they are at great risk of being conned this way. This type of fraud allows perpetrators to easily get away with the scam because there is no face-to-face interaction or any paper trail. What’s even worse is that some senior people are deceived more than once in the same or similar manner. As more and more seniors are using the internet, there is an increasing number of fraudulent schemes taking place on the web. Being unaware of the risk they’re facing while being online, elderly people easily fall into traps of unscrupulous scammers. Scamming the elderly online can happen in many different forms, from pop-ups and website advertisements to email campaigns. However, they all have one common goal, and that is to steal some kind of personal information, such as your social security number, Medicare information, and credit card details. For instance, fraudsters often send emails asking their victims to update or verify their personal information on a bogus website. Being preoccupied with their financial situation and constantly worrying about whether their nest egg will last through retirement, elderly people are extremely vulnerable to investment schemes and in need of guidance. Senior citizen protection is paramount when it comes to this type of fraud because it puts them at stake of losing huge amounts of money. Scammers have come up with numerous fake investment options that seem tempting to senior citizens. They range from participating in pyramid schemes to investing in fictional businesses. Perpetrators sometimes even pose as financial advisors in order to get access to seniors’ retirement funds. All these schemes are very dangerous as they can quickly deplete older people of their savings. This type of fraud is common enough to be specially mentioned in the laws against taking advantage of the elderly. Fraudsters usually inform their potential victims that they have won the lottery or some other type of prize, but that they can claim it only if they make a payment. Scammers will often mail their targets a check that they can deposit in their bank account because they know that fake checks are rejected only after a few days. In the meantime, they have enough time to collect the money they receive for phony fees, even before their victims realize they have been scammed. Sometimes instead of asking for some sort of payment, scammers ask for credit card details or some other type of personal information, so always remember that nothing comes for free! Many seniors feel isolated as they might not be in contact with their family members. Moreover, if they have recently lost their spouse or partner, they are usually in need of companionship. Of course, fraudsters have found a way to take advantage of their situations by scamming the elderly online. They start “courting” them in order to get as much information as possible about their financial situation. Once they gain their trust, they ask for money to solve some sort of financial problem. 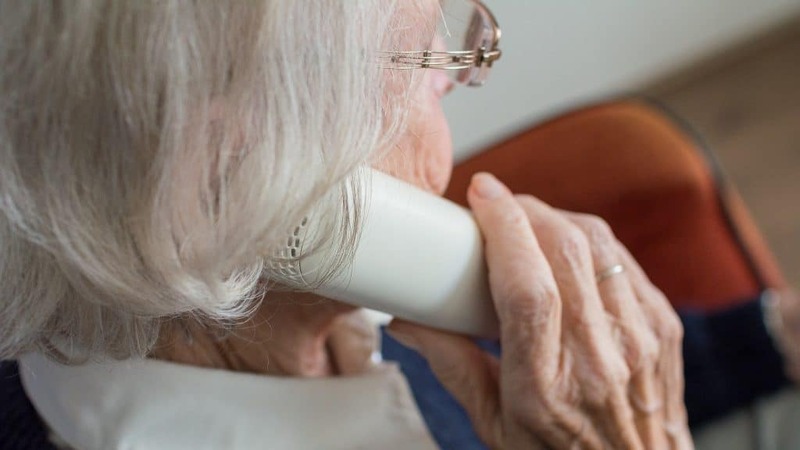 This type of senior citizens scams can fall under the heading of phone scams as fraudsters call a senior citizen pretending to be their grandchild. They start the conversation with “Hi, grandpa/grandma!” and ask the grandparent to guess who’s calling. When the target says the name of one of their grandchildren, the perpetrator asks for a favor, which is always some kind of financial help. In addition, they ask the grandparent not to tell their “parents” about this. Since con artists don’t have to do any background research for this type of fraud, it’s one of their favorites. In this type of fraudulent scheme, a scam artist pretending to work for a reputable company, such as Visa or Mastercard, will offer a senior citizen a credit card with a pre-approved spending limit. In order to get this credit card, they just need to pay an annual fee and probably give their personal information, such as social security number and bank information. Therefore, you should be very careful when someone offers you a spending limit without knowing your credit score and always contact the company directly to check if the offer is real. Many older people seek employment in retirement as they need extra income, opening the door to yet another type of elder financial fraud. So fraudsters want to cash in on this by offering fake job listings. When seniors decide to apply for one of these bogus positions, they need to submit their personal information including social security number. This way perpetrators easily take advantage of unsuspecting elderly people, who may even work for months before finding out that they have been scammed. In this type of elderly cybercrime, scammers advertise a great vacation offer in order to get money and personal information from their targets. This “amazing” offer usually has a time limit, and people are asked to place a down payment as soon as possible. In reality, the property from the ad doesn’t exist, or it is owned by someone else. However, elderly people who get scammed this way often learn that only when they arrive at the destination. Many fraudsters don’t shy away from conning seniors out of their money by posing as charity workers. They contact their targets and tell them a sad fictional story. As they feel compassion, they easily decide to give their contribution to this charity fund. In addition, phony telemarketers may also create a sense of urgency so that their victims have no time to give more thought to the whole thing. A fraudulent scheme with gift vouchers is just an example of email scams as there are a huge number of different types of frauds involving unsolicited emails. In this one, scammers send emails that offer a free gift card for legit restaurants or retailers. However, these offers don’t really come from legit businesses, but their main goal is to make you click on a link that will either install malware on your computer or ask for your personal information. If you belong to the group of senior citizens, you can never be too careful when it comes to scams targeting the elderly. You should be well-informed about various ways con artists use to take advantage of older people. Whenever someone offers you a deal that seems too good to be true, do more research on the company making this offer. Also, in order not to become a victim of senior citizen scams, avoid replying unsolicited emails or clicking on links from unfamiliar sources. It’s highly recommended not to give your personal information, such as social security number and bank account information, over the phone or online. On the other hand, if you are concerned about a senior in your life, here are a few tips on protecting the elderly from financial abuse. Make sure your loved ones are informed on the common ways they might be scammed. Advise them not to make any impulse buys, especially if someone is pressuring them into making a quick decision. Moreover, you check in on their bank accounts in order to spot any odd purchases or withdrawals. Today there are fraudsters at every corner looking for their opportunity to take advantage, and therefore senior fraud prevention is of great importance. It’s not easy to protect yourself against their devious scams, but you should at least try to give your best to reduce their chances of defrauding you. Make sure to get acquainted with seniors’ online habits. Also, if you are a loved one or a caregiver wanting to protect a senior in your life, help them become aware of the risk they are facing and teach them how to recognize legitimate offers. In any case, always report scams to the proper authorities as this is one of the best ways to prevent future senior scams.